Spent the last three days in, on, around, cleaning and taking the boat to an in-water boat show at the Cavalier Yacht Club in Virginia Beach. 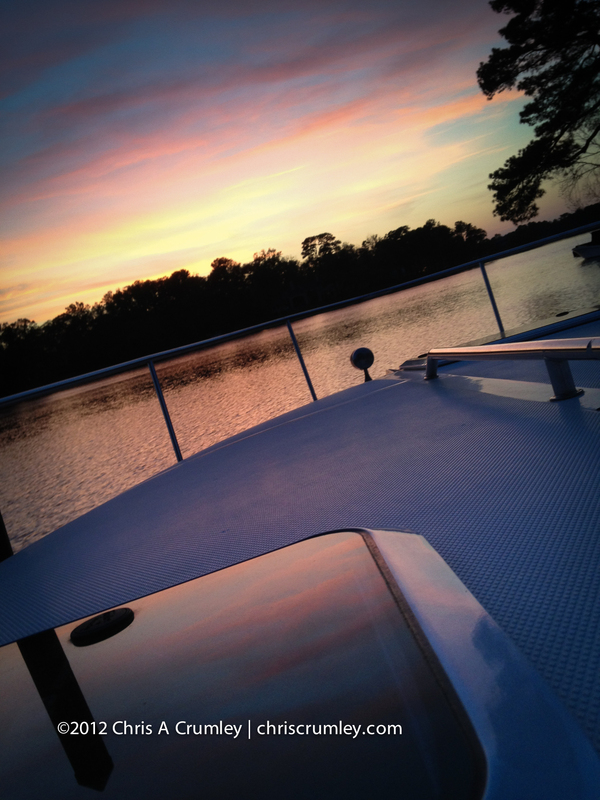 Last night, finally back at my dock, collapsed on the bow leaning against the windshield watching the western sky. iPhone pix.